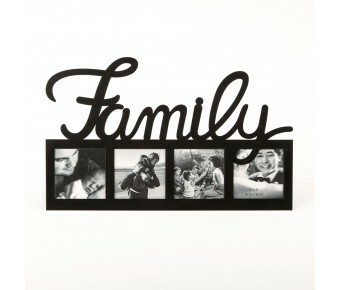 This bold stand out frame can be personalized with four unique pictures of your family, creating a wonderful display of treasured moments. 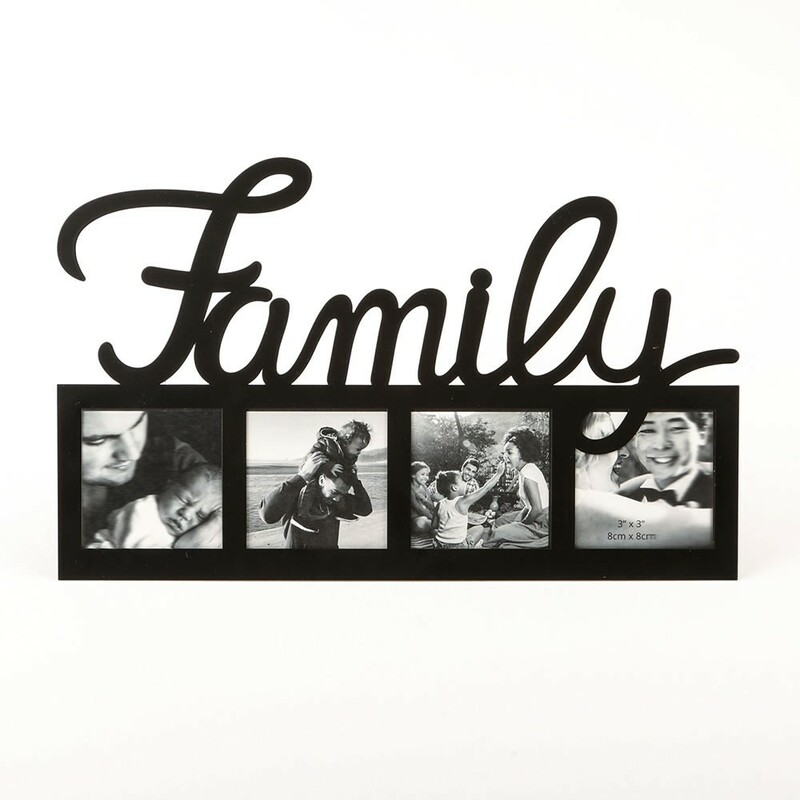 This modern frame is made from metal and features the word FAMILY in black metal letters on top with 4 openings underneath for photos sized 3 x 3. Add a classy touch to your store's shelves with these bold, striking frames. Size 13 3/8" x 6 1/2"